How many fifth graders do you know that have published their own book? Probably not a lot. This is just one of many things that makes Anuj Khemka special. He wrote his own book called “The Warrior” when he was only 10 and published it on Amazon. His book follows a boy’s adventure during the Ice Age as he explores the world on his own. The world the boy lives in is a world with magic, similar to the magic in his favorite book series, Harry Potter. Of all the amazing wizards in Harry Potter, Khemka’s favorite character is an unpopular choice: Voldemort. Khemka’s love for reading and writing led him to take journalism this year. He is currently a staff writer for tjTODAY, and plans to continue to be a part of the team throughout his time in high school. 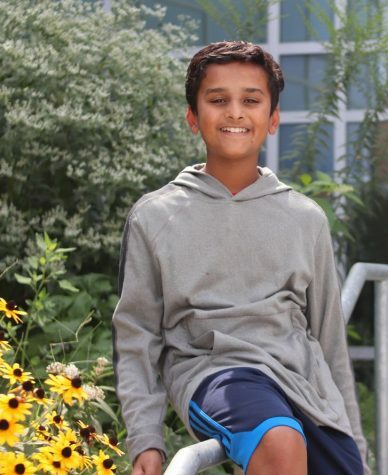 Only a freshman, Khemka is still unsure of what he wants to study in college or pursue as a career. He knows that he loves writing and his favorite subjects are History and Geography, and he will see where that takes him in the future.